Heisei 17 books are so 7 years ago. 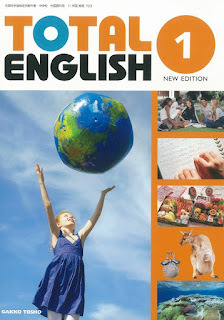 Last summer, we gave you a sneak peak at the upcoming edition of New Crown for the 2012 (平成24年度) school year. 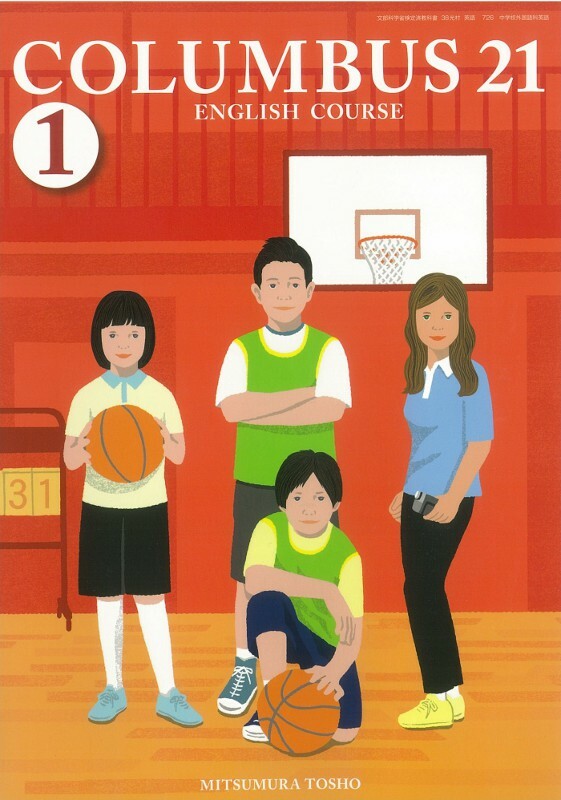 New Crown is actually only one of several texts approved by MEXT (the Monkasho) for use in junior high school classrooms in Japan. 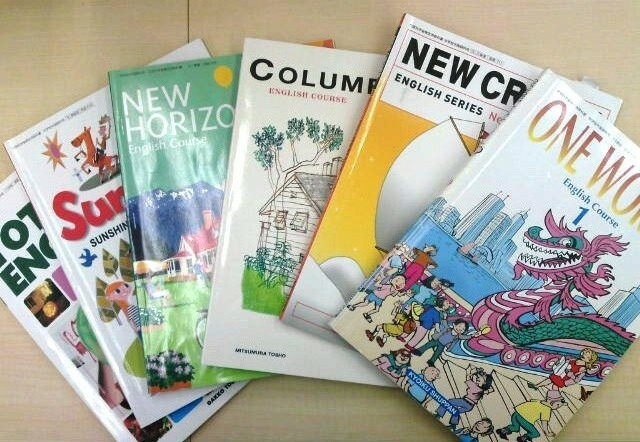 As all major publishers update their content to stay in line with MEXT's curriculum guidelines, rolled out last April in elementary schools and scheduled to go into effect at junior highs from April, 2012, Japanese textbooks are getting major facelifts. 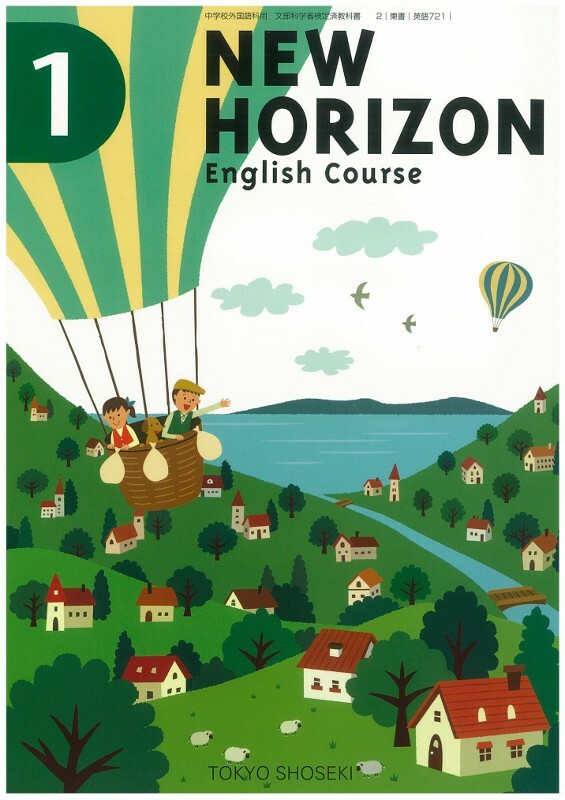 Established nearly 50 years ago, New Horizon is widely recognized in Japan as the authoritative junior high English text, and it has long held its place as the most widely used. It currently dominates the market with more than a 40% share. 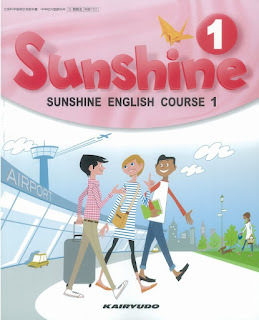 Following New Horizon with just above a 20% share, New Crown is the second part of the "big three" of junior high English textbooks, completed by Sunshine English below. 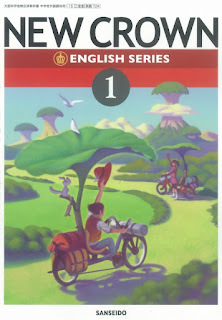 When released, this series was originally called The Junior Crown English Course. Unlike Tokyo Shoseki, the Crown's publisher Sanseido had previous experience with introductory English texts, releasing New Tsuda Readers as early as 1952 and The Sun English Readers in 1957. 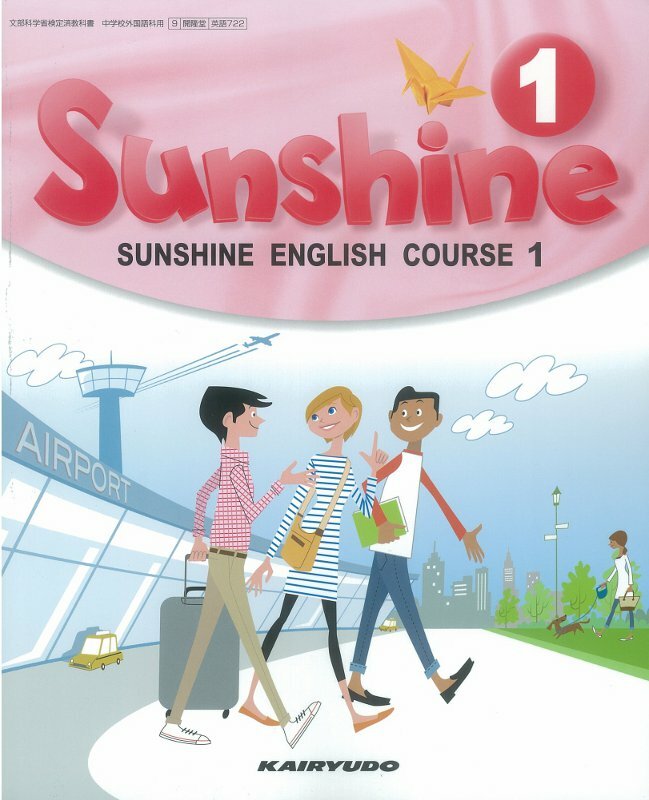 Slightly less popular than New Crown, Sunshine still captures about 20% of the market. It's unrelated to Sanseido's previously mentioned The Sun English Readers, as publisher Kairyudo was established prior to and has always been a direct competitor to Sanseido. 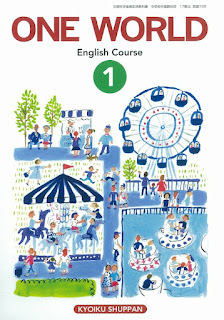 In fact, lagging in third is a surprising place for Kairyudo; they were the first publisher of a post-war English text in Japan (Jack and Betty, 1950) and monopolized English education for years. Just ask a (former-)teacher friend in their 60s: They probably learned with Jack, repeating, "This is a dish. This is a fish." ...By the way, if you're counting, this list has already accounted for 80% of classrooms in Japan. No following textbook holds even a 10% share of its market. 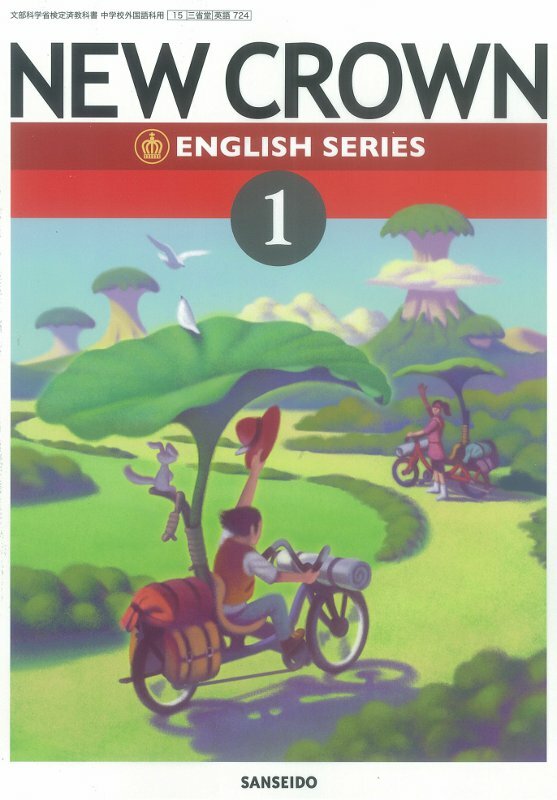 Though it looks like a newcomer, Total English New Edition has some background: The Total English name had been established earlier, in 1977, by publisher Shubun Shuppan. The name was taken over in 2002 by Gakko Tosho, another publisher who has been putting out English education books since the 1950s. Total English New Edition is used in about 9% of classrooms. Preceded by Standard English, another 1950s text, One World appeared just before the end of the Showa Period. You're probably noticing a trend here: None of the "new players" are really new at all. 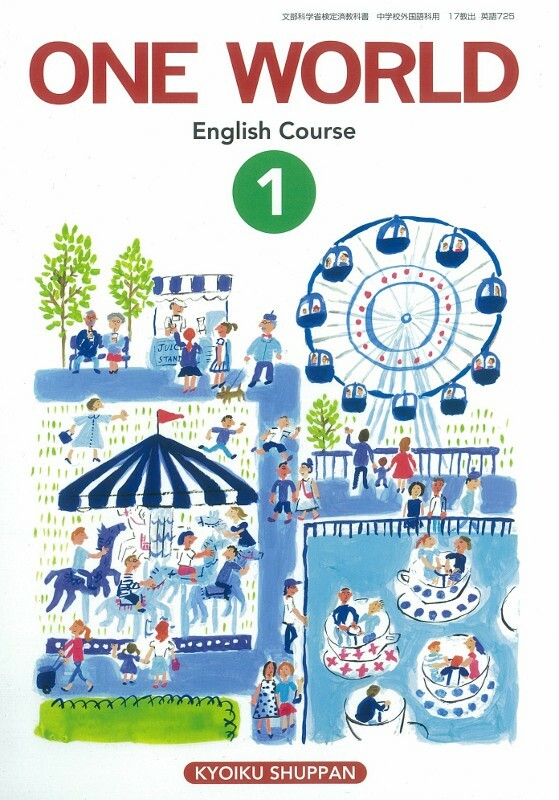 Despite One World's emergence in the 80's or Total English New Edition appearing in 2002, it turns out their publishers have been entrenched in the English textbook business since the end of the war. They're just new names for long-held positions in Japanese school desks. One World holds about 5% of those spots. The exception to the rule here is Mistumura Tosho, who appeared on the English textbook publishing scene in 1993: Columbus 21 was its first. As evidence of how hard it is to gain a foothold in this industry, Columbus 21 struggles in sales. 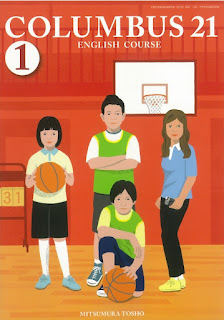 A mere 2% of Japanese classrooms have adopted it as their text of choice--although, on inspection of its contents, this book is not a lot different from what the other publishers have put together. This is perhaps indicative of MEXT guidelines: straying too far from the norm risks a loss of MEXT approval, so new methods in language teaching are only adopted simultaneously and equally across all of these books, which most students in Japan will see and use. Nonetheless, the books do have differences from each other, and we here at AccessJ want desperately to guide you through them, giving our highly authoritative opinions about the artwork and font sizes of each! Stay tuned for next week's installment of this junior high textbook madness. We'll let you know when it's up on Twitter and Facebook. Deuces.